Although manual malware cleaning is marketed a lot these days as a free alternative to Anti-Malware, but there are still some leftover traces that could cause malware to resurface. These chunks are a major threat to your PC as they can easily download another malware, putting all your efforts in vain. Let us see what leftover chunks are you dealing with and where does these malware infections exist. 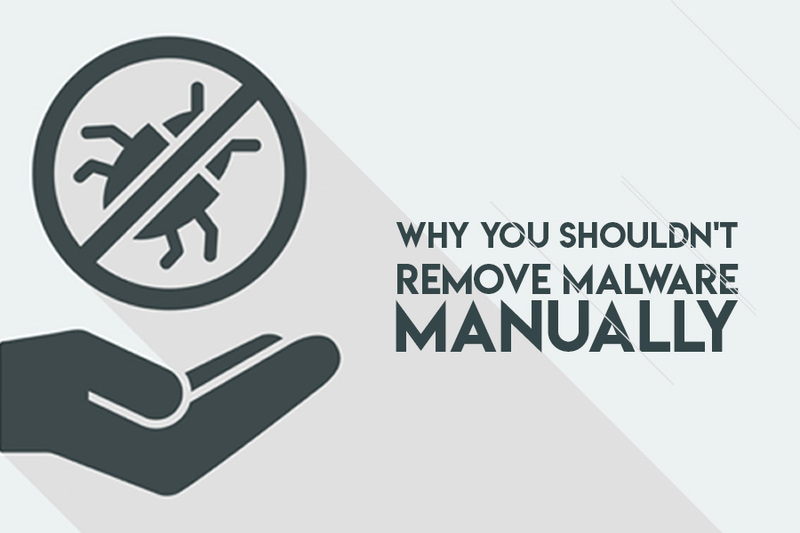 All and all we should consider these points as the reasons that you shouldn’t remove the malware manually without using any removal tool. Registry is the place where the meta data and configurations of the operating system are saved. It contains all the settings and hardware information of your PCs operating system. So even if you have removed the software and program from your PC through control panel or task manager. You need to check your registry once again. Because only registry cleaner can clean the malware found in registries. And if you are thinking to remove the registry malware manually, even a single file deletion can make your system crash. For the purpose you can use registry cleaner like RegClean Pro that is a powerful tool, which cleans windows registry errors and malwares and helps in improving your system performance. After detecting and removing the threat or the malware there might be some of the errors left in your system. Threats like Trojan viruses can carry viruses through various sources like internet or some storage device. Detecting and Removing all the threats and malwares can take much longer time of yours. This can be a difficult task to execute. Also, it will make you forget about some of the threats in the time being. When your system is infected with the whole bunch of infections and bugs at the same time, there is no possibility that you can remove those threats and infections manually, because it will consume so much time. This will lead you to so many other issues that might not be resolved manually. Of course, this will waste your time that you can utilize in some other work. You can save time here by using any antivirus or anti-malware software that will make your system threat free and will boost up your system performance as well. You might have removed all the errors by yourself and made your system malware free. But, in future trojan attacks can happen anytime. For that your system should have an anti-malware software installed so that if anything happens, the software will detect the attack before coming into contact with the system. It will prevent you from the malwares at first contact. Your system is everything that you use. It’s an asset whose value can’t be evaluated at once. When trying to detect and remove the malware from your system manually means guaranteed operational change. Unless you are a programmer or a computer expert, one should use a trustworthy anti-malware tool. Malware threats and infections are spreading at high speed day by day. You might not even know if you have a malware in your system. So, buy the anti-malware tool to clean and optimize your system.